THIS ONLINE MASTERCLASS IS THE NETFLIX OF JUGGLING. NEW VIDEOS ARE ADDED EVERY SINGLE WEEK. COLLECTION OF EASY TO FOLLOW STEP BY STEP WORKSHOPS, LESSONS, INTERVIEWS AND TUTORIALS THAT GOES STRAIGHT TO THE POINT AND ARE EASY TO UNDERSTAND. 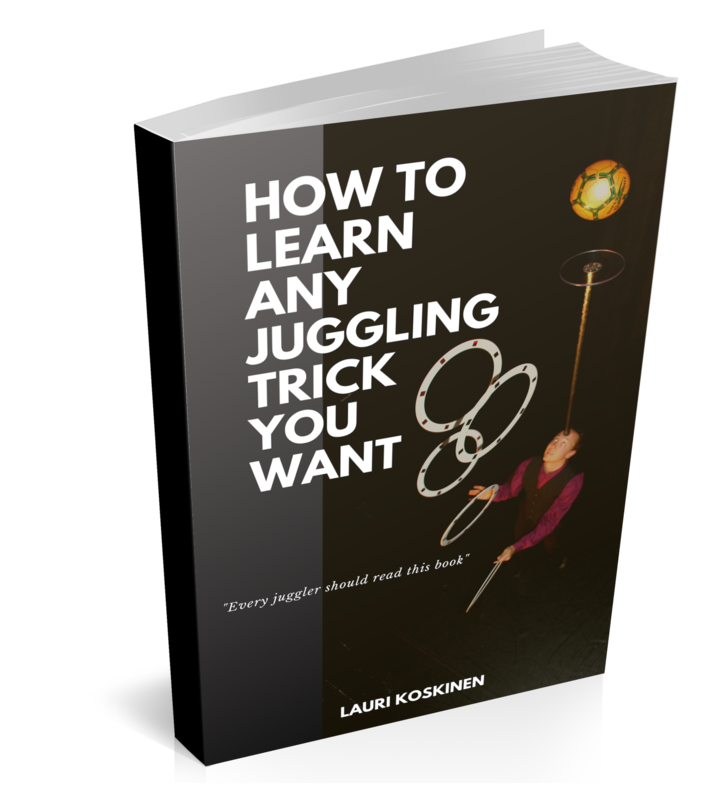 THEY ARE DESIGNED TO HELP YOU IMPROVE YOUR TECHNIQUE, LEARN MORE TRICKS MUCH FASTER, LEARN HOW TO CREATE YOUR OWN TRICKS AND ROUTINES AND HELP YOU TO BECOME A PROFESSIONAL JUGGLER. EASY TO NAVIGATE WEBSITE WITH HIGH QUALITY VIDEOS, THAT SHOW YOU EXACTLY WHAT TO DO TO LEARN ALL THAT INFORMATION. AND ITS NOT JUST DIFFERENT JUGGLING TRICKS, THERE ARE ALSO SO MUCH MORE KNOWLEDGE THAT YOU NEED TO BECOME A PROFESSIONAL JUGGLER. ITS NOT ONLY LAURI KOSKINEN WHO WILL BE TEACHING YOU. OTHER PROFESSIONAL JUGGLERS FROM AROUND THE WORLD WILL ALSO JOIN TO TEACH YOU TECHNIQUES, THEORY AND TRICKS, THAT HAS HELPED THEM TO BECOME PROFESSIONALS. THIS ONLINE JUGGLING MASTER CLASS IS LIKE GOING TO WORKSHOPS AT JUGGLING CONVENTIONS, EVERY SINGLE WEEK. AND ONE OF THE BIGGEST BENEFITS OF THIS MASTER CLASS IS, THAT YOU CAN REQUEST TUTORIALS, ON TOPICS THAT YOU REALLY WANNA LEARN. "TEACHING JUGGLERS AROUND THE WORLD"
GET INSTANT AND UNLIMITED ACCESS TO ALL THE VIDEOS IN THE PROGRAM AND WATCH THEM AS MUCH AS YOU WANT, FROM ANY DEVICE WITH INTERNET CONNECTION. NEW VIDEOS WILL BE POSTED ON THE PROGRAM EVERY WEEK. WORKSHOPS, TRAINING, TECHNIQUE, CREATING NEW MATERIAL, BECOMING PROFESSIONAL AND MUCH MORE. 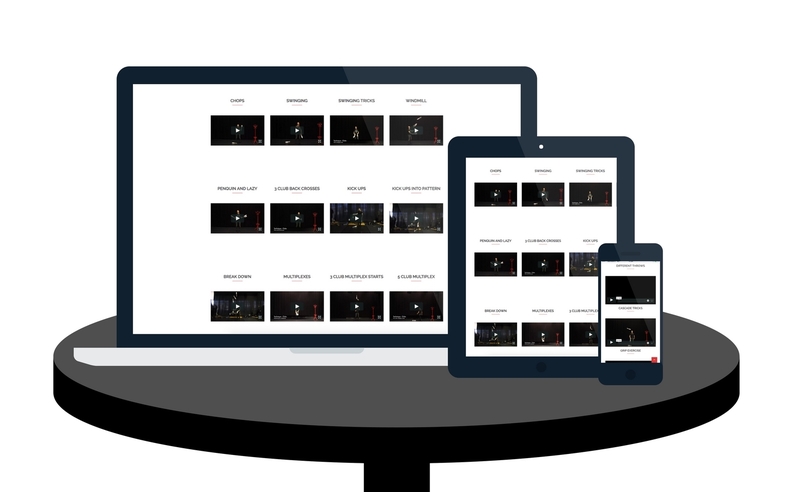 YOU WILL ALSO GET INSTANT ACCESS TO ALL THE PREVIOUS VIDEOS ON THE COURSE. WATCH THEM ANYTIME FROM ANY COMPUTER OR MOBILE DEVICE WITH INTERNET. THERE WILL ALSO BE WEEKLY LIVE Q&A TRAINING VIDEOS, WHERE LAURI WILL ANSWER YOUR QUESTIONS AND SHARE NEW TECHNIQUES AND EXERCISES. AS A MEMBER OF THIS MASTER CLASS, YOU CAN ALSO REQUEST TUTORIALS ON DIFFERENT TOPICS, TECHNIQUES AND TRICKS THAT YOU WANNA LEARN. YOU WILL ALSO GET ACCESS TO JOIN OTHER JUGGLERS TO A PRIVATE ONLINE MEMBERS GROUP, WHERE YOU CAN ASK, LEARN AND SHARE YOUR JUGGLING SUCCESS. GET FREE ACCESS TO THIS AMAZING OVER 2 HOUR DISCUSSION ABOUT JUGGLING TRAINING. "ONE OF THE MOST VALUABLE VIDEOS EVER RELEASED ABOUT JUGGLING"
WITH WES PEDEN, HAAVARD HVIDSTEN, KENNY CHEUNG, EIVIND DRAGSJØ, DOMINIK HARANT, JULIAN SAETHER, MANUEL MITASCH AND LAURI KOSKINEN. "HOW TO LEARN ANY JUGGLING TRICK YOU WANT"
JOIN OTHER JUGGLERS AND IMPROVE YOUR SKILLS WITH LIKE MINDED PEOPLE. CLICK THE "SIGN UP NOW" BUTTON BELOW TO JOIN. IS IT A ONE TIME PAYMENT OR DO I HAVE TO PAY EVERY MONTH? YOU PAY EVERY MONTH. ONLINE MASTER CLASS IS A SUBSCRIPTION PROGRAM LIKE NETFLIX AND SPOTIFY WHERE NEW VIDEOS ARE ADDED EVERY WEEK. YES. WE USE THE SAME SSL SECURITY THAT ONLINE BANKS USE. IS IT ONLY TRICK TUTORIALS? NO. THERE ARE DIFFERENT TECHNIQUES, WORKSHOPS, LECTURES, INTERVIEWS, TUTORIALS, EXERCISES AND SO MUCH MORE. PLUS YOU CAN REQUEST TUTORIALS AS WELL. WHAT IF I BUY IT AND ITS NOT FOR ME, CAN I GET MY MONEY BACK? YES. WE BELIEVE THAT OUR PROGRAMS ARE SO VALUABLE AND USEFUL THAT WE HAVE 30 DAY 100% MONEY BACK GUARANTEE, NO QUESTIONS ASKED. WHAT LANGUAGE IS THE MASTER CLASS IN? ALL THE VIDEOS AND LESSONS ARE IN ENGLISH. HOW DO I GET IN CONTACT WITH LAURI? YOU CAN EASILY GET IN CONTACT WITH LAURI BY SENDING AN EMAIL TO INFO@JUGGLINGMASTERY.COM OR SENDING HIM A MESSAGE IN SOCIAL MEDIA CHANNELS. YES. YOU CAN ACCESS THE COURSE AND WATCH THE VIDEOS FROM ANY COMPUTER OR MOBILE DEVICE WITH INTERNET CONNECTION. IS IT REALLY THAT GOOD AND WORTH THE MONEY? YES! WE ACTUALLY BELIEVE THAT ITS WORTH OVER 10 TIMES ITS VALUE. PLUS IF YOU DON'T THINK THAT ITS WORTH IT, YOU CAN ALWAYS GET YOUR MONEY BACK. "THE JUGGLING MASTERY COURSE IS A COLLECTION OF GREAT TUTORIALS, THAT ARE REALLY HELPFUL AND EASY TO UNDERSTAND. I REALLY LIKE THE STYLE OF HIS TUTORIALS: GO AND CHECK SOME OF HIS TUTORIALS OUT ON YOUTUBE. I LOVE THE VALUE OF THE FACEBOOK GROUP: LAURI AND ALL THE OTHER MEMBERS ARE ALWAYS THERE TO HELP YOU AND GIVE YOU FEEDBACK ABOUT ANYTHING YOU WANT!" "THE JUGGLING MASTERY COURSE IS A PERFECT FOR JUGGLERS ON ALL LEVELS. THE TUTORIALS ARE VERY DETAILED AND UNDERSTANDABLE. IN ADDITION, THERE ARE ALSO GREAT INSPIRATION FOR CREATING YOUR OWN TRICKS AND THUS YOUR OWN JUGGLING STYLE. IT BEGINS WITH THE BASIC TECHNIQUES AND END WITH MY SELF CREATED TRICKS. ALL IN ALL IT IS VERY GOOD TO IMPROVE YOUR JUGGLING VERY FAST AND EFFECTIVE!" "JUGGLING MASTERY IS A COMPLETE COURSE OF VIDEO TUTORIALS INCLUDING TECHNIQUE, TRAINING, AND MANY TIPS FOR JUGGLING BALLS, RINGS AND CLUBS. LAURI EXPLAINS IN A FRIENDLY, SOMETIMES HUMOROUS BUT ALWAYS CONCISE WAY ALL ASPECTS TO BECOME A BETTER JUGGLER. HIS MAIN PHILOSOPHY IS BASED ON A STEP BY STEP APPROACH TO TRAIN SMARTER AND ONE ALWAYS RECOGNIZES HIS LONGTIME EXPERIENCE IN TEACHING JUGGLING. I THINK THAT EVERY JUGGLER CAN BENEFIT FROM JUGGLING MASTERY COURSE TO BECOME A BETTER JUGGLER INDEPENDENT OF THE INDIVIDUAL SKILL LEVEL." "SO FAR I REALLY LIKE THE COURSE. I'VE ALWAYS WANTED TO GET FORMAL JUGGLING TRAINING AND I THINK THIS IS THE BEST AND MOST COST EFFECTIVE WAY OF DOING IT. I ALSO LIKE HOW THE VIDEOS IN DIFFERENT CATEGORIES TO MAKE IT EASIER TO LEARN." "THE COURSE IS REALLY GREAT AND WELL THOUGHT OUT. 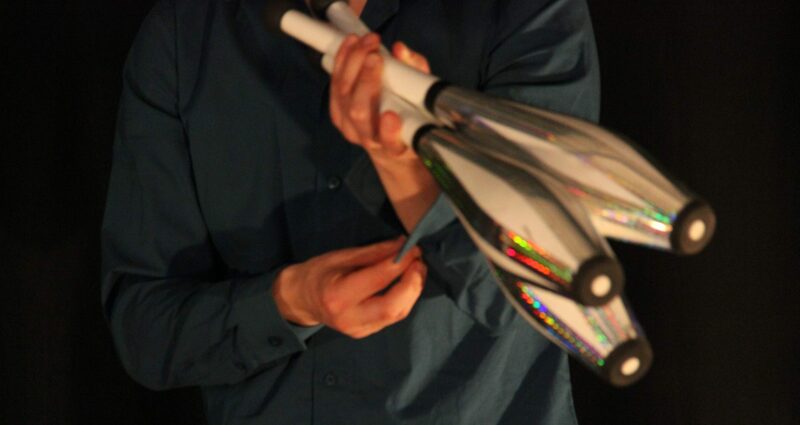 TEACHING IS REALLY VERY CLEAR AND WOULD HELP JUGGLERS AT EVERY LEVEL TO IMPROVE THEIR TECHNIQUE." "GREAT QUALITY, INFORMATIVE VIDEOS ON AN EASY TO NAVIGATE WEBSITE. GREAT LITTLE LEARNING PACKAGE." "YOUR ADVICE CHANGED MY TRAINING FOR A BETTER AND THE STRETCHING IS SOOOOOO GOOD! "SINCE I STARTED JUGGLING MASTERY, I HAVE HAD MORE PRODUCTIVE TRAINING SESSIONS. MORE FUN TOO!" "YOUR COURSE IS GREAT. ALL STRAIGHT TO THE POINT. THIS IS WHAT I NEEDED. BIG HELP FOR MY JUGGLING. I ALREADY SEE PROGRESS. YOU ARE DOING GOOD JOB. THANKS!" "I WAS SO EXCITED ABOUT YOUR ONLINE COURSE AND DECIDED TO SAY THANKS FOR THAT WORK! IT IS THE BEST PURCHASE IN MY LIFE!"